How Does a Record Label Decide What Kind of Advance to Pay Me? One thing that often tempts musicians into signing a record deal is the promise of an advance. This is especially true for up-and-coming acts who have been slogging through on their own dime and making many financial sacrifices in the process. "An advance!" they say. "We're going to be rich!" Well, not so fast. The most important thing to remember is that an advance is just that: an advance. It's an advance against royalties you expect (hope) to earn on future record sales, and the label requires a return of the advance. In fact, they will keep revenues until they recoup the full amount of the advance, and that holds true across multiple albums and advances. That's because record label advances are cross-collateralized - a very important concept to master; so learn more about that here. There's your warning about getting too excited about advanced cash. But now for what you really want to know - how do record labels decide how much of an advance to pay? The answer is that it is part art and part science. For your first advance - the advance for the first album you record with a label as part of a multi-album deal or for the only album in a single album deal - the label will consider a lot of different factors. Indie labels, in particular, will consider how much they can afford to pay and still have enough cash left to promote the album release. If working with an indie, opting for a small advance in exchange for a bigger promo spend is the right choice in the long run. Major labels will consider things like how much they plan to spend on promotion in addition to how many copies they think they can sell off your release in order to recoup your advance and make extra money. Of course, indie also considers sales potential, but for many indies, it's a pure cash flow issue. Even if they think you can sell millions, they can't pay you an advance to cover that. That's the art part. 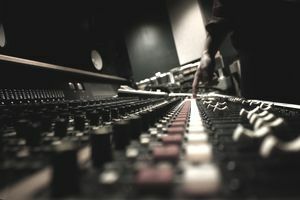 Labels consider your sales potential, often based on what you've accomplished before, as well as plans for touring, feedback received on your music, and more. However, it's still a gamble for they don't know if the advance is going to be too small, too big, or just right (though you can count on them trying to err on the side of caution unless you are the subject of an intense bidding war). The science part comes in with the advance formula associated with multi-album record deals. These formulas aren't included in all record deals, but if you're signing with a major label, a good lawyer can insist that your contract includes a formula. How this works is by setting out a mathematical equation for determining the advance for each album in a multi-album deal. This equation usually sets the advance as a percentage of royalties earned on the previous album. There is also usually a minimum and maximum payout amount stipulated in the formula. The percentage is computed using sales from within a specified territory during a specified period (e.g., sales in the US for nine months after the album release). The formula is applied to each release; so, album two sales will determine album three's advance, album three's royalties will determine album four's advance, and so on. The beauty of the formula is that it rewards good sales and conserves when sales have dropped. The best thing to understand about advances, however, goes back to the beginning: this isn't free money. It's more like credit. Take what you need and wait for your sales to come in; it will put you in better control of your career.